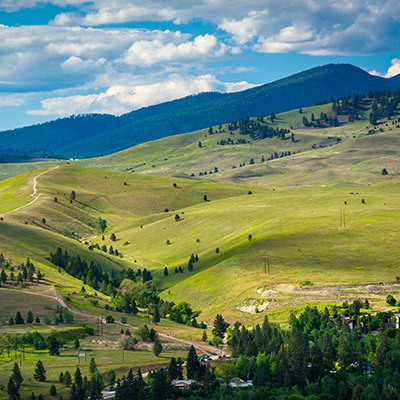 Missoula is also known as the ‘Garden City’ owing to its thick trees and an ever-growing green background. The city is beautifully nestled in the center of the Northern Rockies, where five of its green valley’s converge. It is gaining popularity amongst the masses and now considered one of the best places to live and travel in the United States. A college town with a flourishing art scene and many renowned craft breweries, Missoula is also home to an abundance of outdoor activities and adventures. Missoula in Montana is enclosed by seven wilderness regions and at the convergence of three rivers is the most popular and much talked about paradise for outdoor enthusiasts. The city also offers plenty of fun recreational activities for those looking at getting acquainted with history. Did you know that the term Missoula represents a community whose inhabitants love going outdoors and coming together at arts & music festivals and fairs. Caras Park – Situated amidst Missoula’s downtown and the gorgeous Clark Fork River, Caras Park is a prime community gathering place. The stunning Riverfront Trail is famous amongst walking and biking enthusiasts. Caras Park is a family-friendly park, where you can indulge yourself in various activities like fishing, picnic, merry-go-round and Dragon Hollow – a designated playing ground. The blissful park also hosts many concerts and festivals throughout the year. The University of Montana – University of Montana (UM) in Missoula is the prime campus that offers scores of degrees from its three colleges and six schools. UM has been voted one of the most picturesque campuses in the United States of America. Students are often seen very active in extra-curricular activities. Fort Missoula – Fort Missoula is another gem of the city and worthy of being visited and explored. The historic Fort Missoula spans across 32 acres of land and is very famous amongst outdoor enthusiasts, flower gardeners, and history lovers. You can take a stroll across the fort - discover vintage trains, old forestry, sawmill equipment, historic mansions and an old fire-lookout. The fort is also home to a Historical Museum which features antiques covering local history since the beginning. Rocky Mountain Elk Foundation Visitor Center- Here, at Rocky Mountain Elk Foundation Visitor Center, you can see exciting and motivating displays that provide information on elk and the environment that they live in along with the thriving flora and fauna that complete the ambiance of the place. Do not forget to a hike at the wondrous nature trail. Enjoy a Game – The city is home to many enthusiastic sports fans. The University of Montana Grizzlies football team plays to a jam-packed audience on their home grounds. In Missoula, you can watch one of the Grizzlies’ women or men basketball games. The Osprey - Missoula’s Pioneer League expert baseball team is famous especially during summer season. Also, you must check out Missoula’s Junior Hockey team - Missoula Maulers that give a promising game. Undoubtedly, the city offers a little of something for our sports fans. Scenic Drives – Going to another city and taking a road trip sounds too much fun. Are you up for it? Because the city is home to many scenic locations. To name a few, there is Bitterroot Valley, Lolo Pass and the Flathead region where you will be tempted to drive at least once. Also, look at trailing along Rock Creek to Phillipsburg Valley or the Chief Joseph Scenic Highway adjacent to the Yellowstone. Ski Resorts – Snowboarding and skiing rank high on the list of favorites in Missoula. Check out the slopes at Montana Snowbowl, Lookout Pass Ski Area, Black Mountain and many more. Scenic landscapes, lush greens and varied sports facilities are the prime features that define Missoula in the United States of America. With Lookupfare, you can easily get cheap flight tickets from the top and most preferred airlines. Not to mention again that we specialize in flight services and we guarantee cheap flights fares.